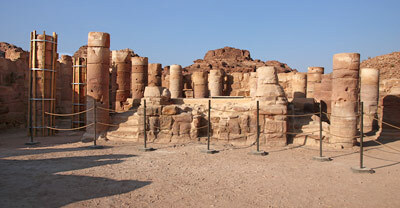 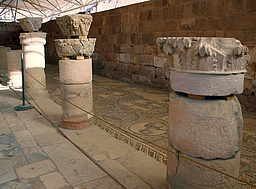 The triple basilica, measuring about 26 by 15 meters, with three apses to the east and three entrances to the west, and accessed from a stone-paved atrium, was built starting in 450 AD in several phases, using stones from Nabataean and Roman buildings that had been destroyed by the 363 AD earthquake. 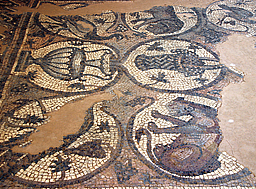 Around the year 600, the basilica burned down, and was hit later by several earthquakes, burying the floor mosaics which saved them from iconoclast destruction. 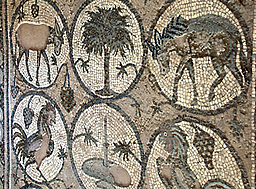 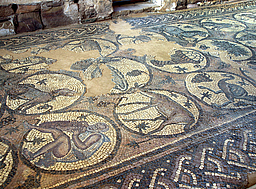 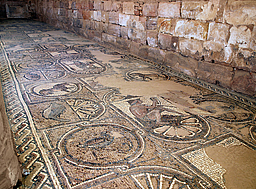 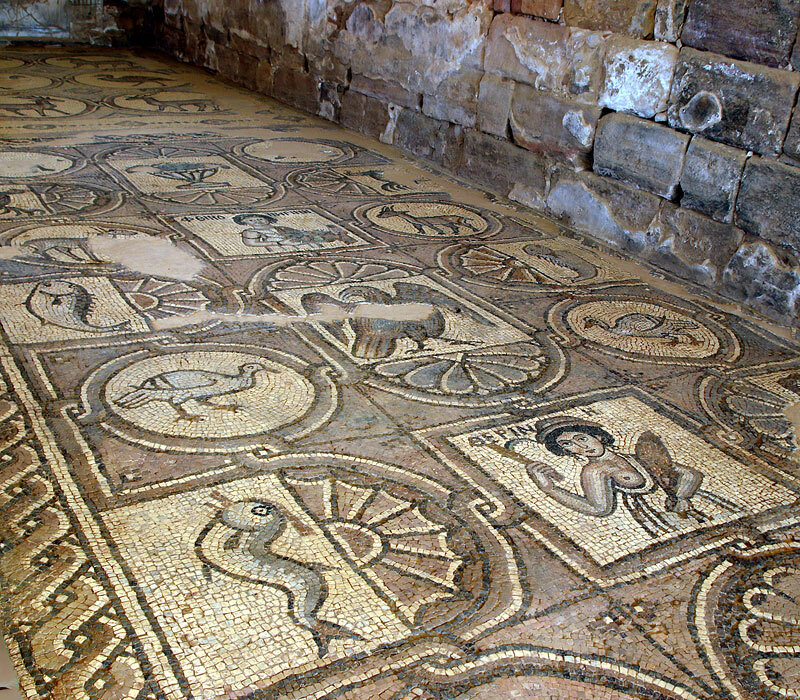 The mosaics, covering 70 m2 on each of the side aisles of the church, are dated stylistically to the early 6th century, and depict everyday objects, exotic and mythological animals, as well as personifications of the Seasons, the Ocean, the Earth and Wisdom. 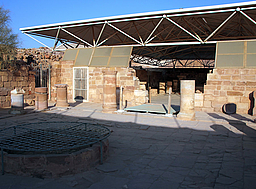 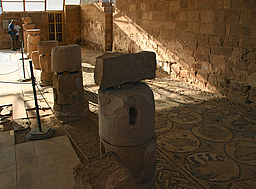 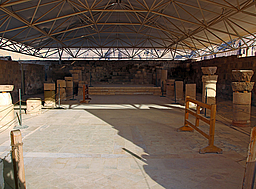 Remains of the nave's pavement, with marble and stone geometric designs, and a 5th century Baptistery are also preserved. 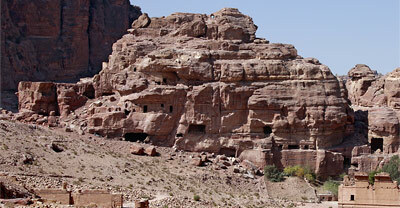 In 1993, in a storage room of the church, 152 papyrus scrolls were uncovered by accident. 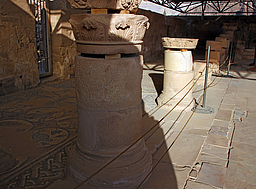 The scrolls were carbonized during the early 7th-century fire and are still being restored and deciphered. 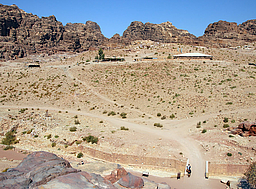 They are documents belonging to one family – including property contracts, out-of-court settlements and tax receipts – and provide an invaluable glimpse into everyday life in Petra between 528 and 582 AD.